(Newser) – A 43-year-old man who lived in isolation at his parents' home in Bavaria for three decades has been taken to a psychiatric hospital, and German police are investigating whether his parents did anything wrong, the AP reports. 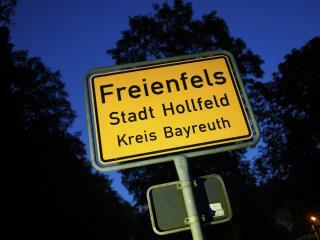 Police went to the home in Freienfels, in southeastern Germany near Bayreuth, on Sept. 21 after receiving a tip and found the man in a neglected condition, police spokesman Juergen Stadter said Wednesday. "The man was unkempt, unwashed, but well nourished," Stadter said. "But he wasn't constrained and had several rooms to himself where he could move around freely." Police are now investigating whether the man stayed inside for all those years of his own will or if his parents forced him to stay at home. Probably posts to Newser under any one of a number of accounts too. The women would just claim that he's a loser who hides in his mom's basement playing video games all day, right ladies?